On my most recent trip to the redwood State Park, I found the most amazing Oak tree which was covered with green, yellow and orange leaves. 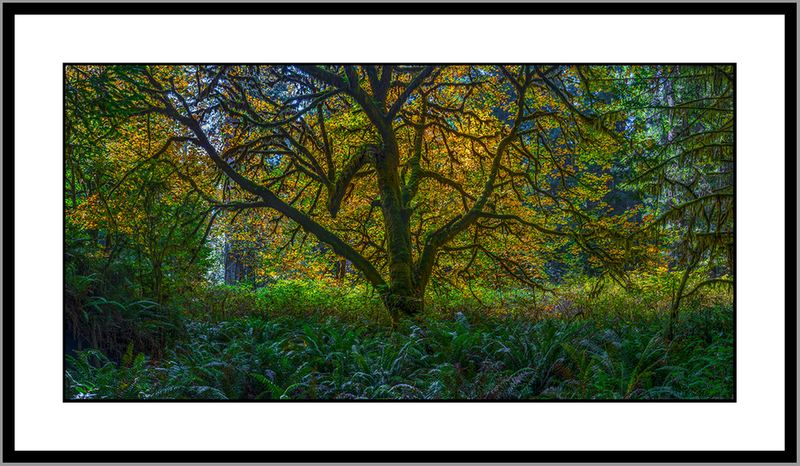 As the sunlight acted as a backlight, illuminating the tree with the most amazing colors. The photo does not do the actual scene any justice. The photo was composed of multiple portraits shots made with Nikon D800E and 50mm 1.8 and stitched in Panorama Maker. I shot the same tree with the Fuji GX617 and Fuji Velvia 100. I will have to see how it comes out.